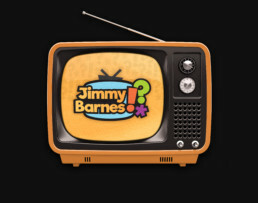 I recently produced this identity and banner for youtuber Jimmy Barnes. 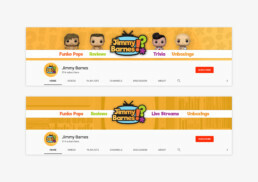 Jimmy creates sit down videos, discussing Funko Pops, sharing funny montage creations, unboxing videos, and more. The identity had to reflect his funny and colourful personality. View his channel here, where you can also see the mini ident in action.